A new study suggests that Russian operatives were not only trying to interfere in the 2016 election with their exploitation of social media - they had longer-range objectives, as well. According to National Public Radio, Kremlin-linked computer experts at the Internet Research Agency in St. Petersburg have often pretended to be U.S. social media users. They created at least 48 Twitter accounts to share selected news stories from local American media outlets. The accounts included @ElPasoTopNews, @MilwaukeeVoice, @CamdenCityNews, and @Seattle_Post. “A not insignificant amount of those had some sort of variation on what appeared to be a homegrown local news site,” Bret Schafer, a social media analyst for the Alliance for Securing Democracy, told NPR. The Russians apparently realized that Americans trusted local news outlets more than the national media. 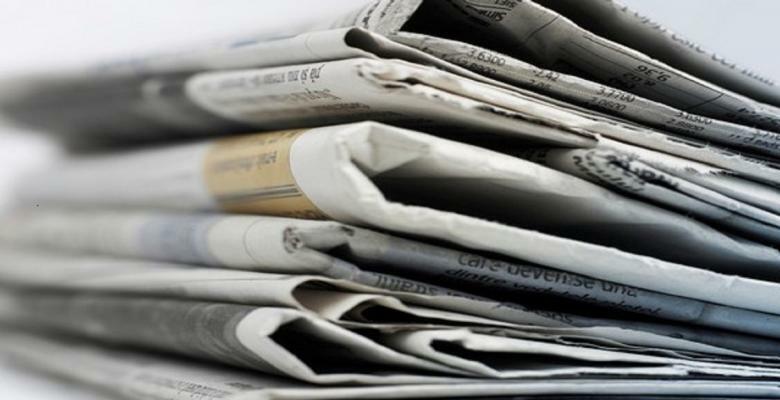 The Pew Research organization found two years ago that 82 percent of those polled had either “some” or “a lot” of “confidence” in their hometown news providers. The Russians also supposedly created a Twitter account that resembled The Chicago Daily News, which went out of business 40 years ago. The account had attracted about 19,000 followers by the middle of the 2016 race. When Twitter officials realized what was happening, they suspended the Internet Research Agency. Some of the accounts appeared as early as 2014, an indication that the Russians had been plotting to influence the election long before the race between Donald Trump and Hillary Clinton began. A broader motive may have been to cause confusion and conflict in the United States, a reputed goal of Russian President Vladimir Putin. U.S. intelligence agencies believe the Russians are conducting cyberattacks and taking advantage of social media to influence this year's mid-term congressional elections. The hackers reportedly are especially fond of using Twitter and Facebook. NPR pointed out that spreading news in social media was just one of the “active measures” employed by Kremlin operatives to meddle in the presidential race. Another method involved cyberattacks on more than 500 individuals and groups, most famously the Democratic National Committee and Clinton campaign chairman John Podesta. WikiLeaks and the Russian-created DCLeaks made the information available to the public. The hackers also tampered with election systems in some states, raising concerns that voting machines were compromised. The Russians sometimes posed as advocacy groups organizing rallies or other events, turning out Americans on opposite sides of issues to incite confrontations and cause chaos. In addition, they told Trump campaign staffers that they had incriminating information about Clinton. A number of the Republican nominee's aides had contacts with Russian officials during the race, which prompted the appointment of Justice Department special counsel Robert Mueller to probe whether there was any collusion to affect the election results. Putin reportedly wanted to get even with Clinton for her alleged efforts to interfere in a Russian election while she was secretary of state. Putin is also said to be carrying a grudge about the United States' opposition to his actions in Ukraine. Intelligence officials and a congressional committee have determined that the autocratic leader was eager to see Clinton lose to Trump, who has done business in Russia and repeatedly heaps praise on Putin. Mueller has filed criminal charges against 13 Russians and three Kremlin-connected companies for their hacking and manipulation of social media. Putin's government continues to deny requests for the suspects' extradition to the United States to face trial. The special counsel also has indicted several former members of the Trump campaign, including campaign chairman Paul Manafort.